And you thought hiring a DJ was as simple as browsing a catalog . . . for some clients and even some other DJ’s, it may appear that way. But, you expect and will be glad to receive more. 1Thank you for visiting. There is a ton of information here that I hope will educate you on making the best decision for you in regards to your Event Entertainment. I trust you’ve either 1) heard good things or 2) spent a lot of time visiting this site, or maybe both. If you have any additional questions, feel free to contact me at any time. A) I traditionally meet with prospective brides/grooms at my office/studio for an initial consultation. This is the typical (though not “routine”) meet, greet and chat about your wedding to see if we’ll be a good fit for each other. We’ll review your wedding, details and your desires and determine if my services fit. You’ll see pictures of past events, receive a Wedding Information Packet, and be able to view and interact with my unique Online Planning System. B) We can have a video conference over Skype or Yahoo Instant Messenger. C) It can also be done over the phone and definitely an option if you live out of town or if simply comfortable with doing so. D) As a final option, we can simply draft up a contract covering all of your requirements and wishes and go from there, via email. Once either one of these are received, then I “ink” your date into the calendar. I then ask that the other half of the above requirement be received within 5 business days. 4Once the Contract and/or Retainer Payments are received, I’ll start setting up your account. I’ll make copies of the contract for your records, process your retainer payment, send you my “welcome and planning emails” and setup your personalized and custom Online Planning System account. This all happens within 1 week after Booking process is complete. 5Over the next few months (sometimes longer or shorter) you’ll be working to develop ideas, draft song lists, come up with all of your questions/concerns, etc. Much of this is done on your own, much in your online planning system account. **NOTE: Feel free to contact me at anytime with anything. I don’t limit communication or correspondence and would love to help out with anything you need. I know that some vendors do and personally think it’s a shortfall of good service. By the time we’re done, we’ll all have a very clear picture of how everything will flow, look, sound and feel. 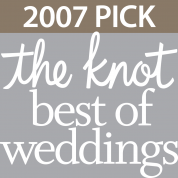 Most couples leave my studio much more relaxed that we have reviewed everything about their wedding in such detail. You will be able to leave with copies of your timeline, planning materials and a good sense of stress-relief! 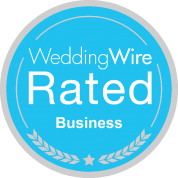 7Within the final week of your wedding, I will work with the venue and/or other coordinator(s) and vendors to ensure every detail that we reviewed is covered. Changes? No problem, I’m extremely flexible with any change. Some DJ’s require their “planning information” 2 weeks in advance, without any changes allowed after that. You can call me on the morning of your wedding if you’d like!!! I”ll do my best to make it happen. 8It’s come down to event time, and you can be assured that from this point on, your event will run smoothly while you and your guests have fun! Sound good?